One of the problems when you own a swimming pool is keeping it clean. Wind-borne dirt and debris is bound to find its way into your pool, and, of course, it is even worse if your pool is surrounded by trees. In this article we explore a number of tools that you can use to clean your pool including automatic vacuum pool cleaners which work with varying degrees of reliability. There are a number of hand held pool vacuums available, both battery operated and mains power operated. However, one clever device is pond vacuum, which uses no power at all. To operate it you connect it to your garden hose, lower the head into the water and place it by the debris. The garden hose creates suction and the debris is sucked up into the filter bag or canister. At around $40 on eBay this is a cheap and efficient cleaner. Pros: A cheap and effective cleaner. Good for paddling pools and ponds. Cons: Not good for full sized swimming pool. Small capacity debris bag. Pool vac heads have been around for ever. 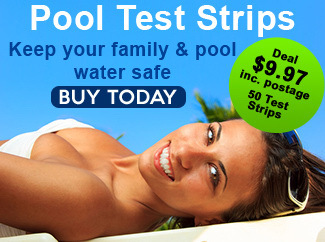 They are cheap ($20-$40) and can be used in pretty much any swimming pool. You simply fit your pool hose to the vacuum head and the other end to the skimmer suction port. Then connect your pool pole and you’re ready to go. You vacuum your pool just like you would your house. Nice slow even movements. Every pool owner needs to have one of these. Pros: A cheap and effective cleaner. Good for all family swimming pools. Cons: Takes a bit of time to vacuum your whole pool. This is a very cheap option, but again involves manual labour. Pool Leaf Rakes can be purchase for $20-$40. They connect directly to your pool pole and are suited to picking leaves and sticks up. 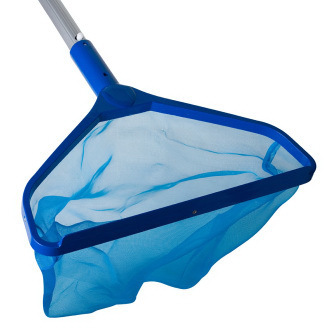 Some scoops are suitable just for collecting leaves on the surface of the pool but others that contain a larger net are suitable for picking up leaves from the bottom of the pool. Pros: About the cheapest option there is on the market. Cons: Only the head is supplied, so you have to supply your own pole. Suction cleaners are the cheapest type of automatic pool cleaner. They are usually attached to a vacuum plate on your skimmer box by a hose. They work by sucking, water and debris through the cleaner and into the skimmer basket. As the water is sucked in, the cleaner head is moved around the pool floor. Some versions can also climb up the pool sides. The Stingray Pool Vacuum Cleaner comes with a 10 metre hose and is available on eBay for $70. Pros: The cheapest type of automatic pool cleaner. No manual labour involved. Cons: All the debris goes into the basket and pool filter, so you have to keep cleaning them out. They often don’t do a good job of cleaning. This automatic pool cleaner is made from UV stabilised top grade materials and has a three year guarantee on the cleaner and one year on the hoses and moving parts. The advanced swivel technology means that there is good random cover of the pool and the hammer is designed for quiet operation. It is easy to remove the debris from the drive mechanism. Available on eBay for $240. Pros: Hammer cover has a quick release mechanism for easy cleaning. Cons: Sometimes gets stuck when moving up slopes. Like all suction cleaners, not suited to large debris – blocks up. 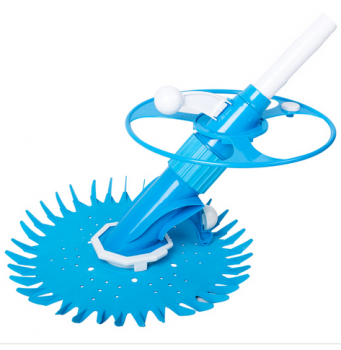 This design of pool cleaner has been going since the 1980’s and is still being sold because it does a great job. 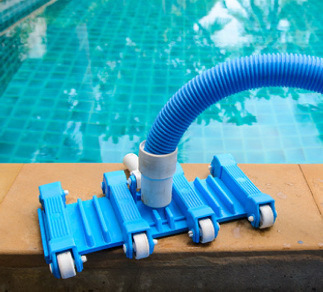 It is suitable for all pool surfaces and comes with 10 metres of hose in one metre lengths. It also works well both for in ground and above ground pools and has a two years limited warranty from Zodiac Group Australia. The Baracuda Aquasphere sells for around $250. Pros: This unit climbs walls and steps but does not climb above the water level. Cons: Doesn’t like working in pools with strange shapes. If you have never used a cleaner before, the instructions are not very clear. Also costing around $250, this cleaner comes with 14 lengths of 80 cm hose giving a total length of just over 11 metres. It connects to the skimmer vacuum plate and the dual suction design ensures that the pump and filter are never starved of water. The cleaner will operate in any type of pool finish. Pros: Extra hose lengths can be purchased if your pool is longer than 10 metres. Cons: Only has a 12 month warranty. This cleaner features SmartTrac programmed steering to ensure complete coverage from the pool floor to the waterline. It will clean around corners, steps and swim-outs. The wide 12” body design ensures that the whole pool is cleaned quickly. At around $350 this is not the cheapest on the market. Pros: Wide body design cleans the whole pool quickly. Cons: Very sensitive to pressure change when leaves clog the pump basket. 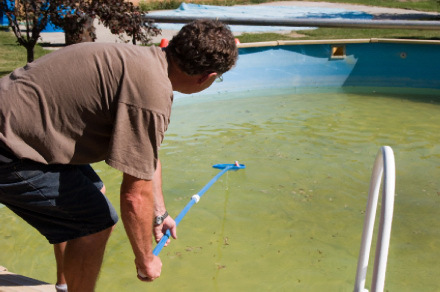 We would love to hear about your experiences with pool cleaners. Please leave your comments below and share the article with anyone you think may be interested.